The Volkswagen Atlas, launched as a 2018 model, is a midsize three-row crossover SUV aimed at families and can carry up to seven occupants. Volkswagen has moved into another vehicle category with its new Atlas. 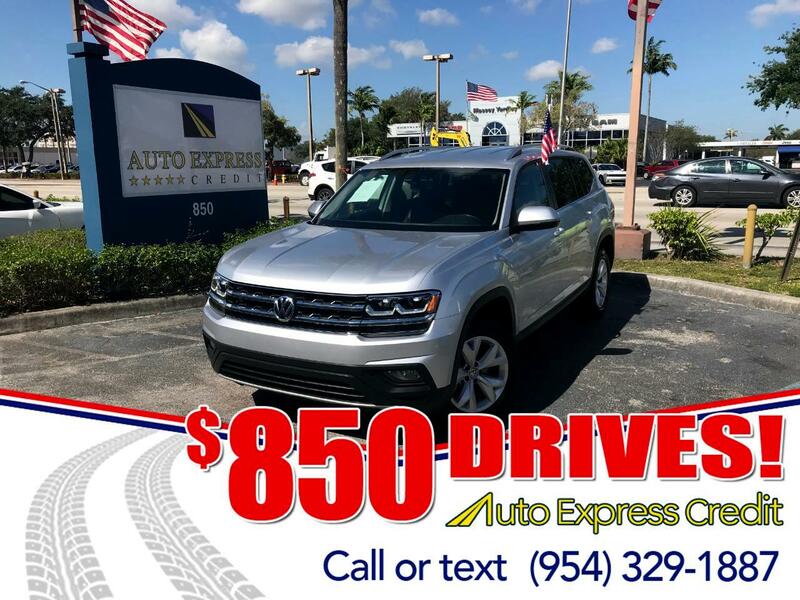 We found the Volkswagen Atlas drives beautifully, among the best in its class, with smooth acceleration, stable braking that's easy to modulate, solid stability at high speeds, comfortable ride, composed, responsive handling. Three basic trim levels are offered for Atlas: S, SE, and SEL, along with several option packages. Either a four-cylinder engine or a V6 may be installed. Base engine is a turbocharged 2.0-liter four-cylinder, producing 235 horsepower and 258 pound-feet of torque. The optional 3.6-liter V6 generates 276 horsepower and 266 pound-feet. Those figures fall a bit short of competitive models. Both engines mate with an 8-speed automatic transmission. Front-wheel drive is standard, but Volkswagen's 4Motion all-wheel drive is an option for V6 models. Four-cylinder versions, whose powertrain is used in other Volkswagen vehicles, are front-wheel drive only. Because of Volkswagen's scandalous admission to flagrantly modifying turbodiesel-engine software, in order to cheat on emissions testing, diesel power is not part of the Atlas picture. Neither the National Highway Traffic Safety Administration nor the Insurance Institute for Highway Safety has crash-tested an Atlas as yet. Each Atlas includes six airbags and a rearview camera. A standard after-collision braking system applies and holds the brakes automatically, to prevent the vehicle from moving if it's hit by another vehicle while stationary. All trim levels above base level feature an upgrade rearview camera, which incorporates dynamic guidelines to ease parking.